Three people were shot at Rainbow Beach in Chicago's South Shore neighborhood Sunday night, the Chicago Fire Department said. 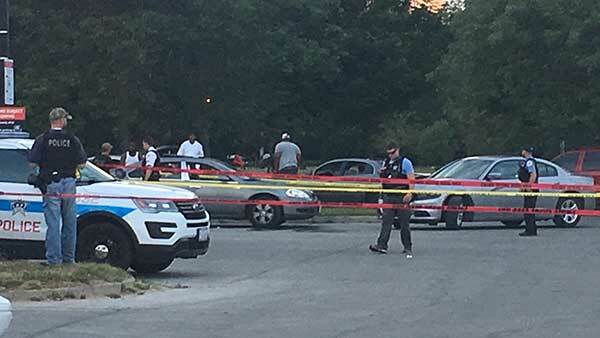 CHICAGO (WLS) -- Three people were shot at Rainbow Beach in Chicago's South Shore neighborhood Sunday night, police said. The shooting happened in the 3100-block of East 77th Street at 7:25 p.m. A man walked up to three men and opened fire, striking all three before running away from the scene, police said. A 15-year-old boy was shot in the lower back, a 20-year-old man was shot in the right forearm, and a 37-year-old man was shot in the right leg. All three were transported to South Shore Hospital in stable condition. Chicago police said the 20-year-old has gang affiliation.